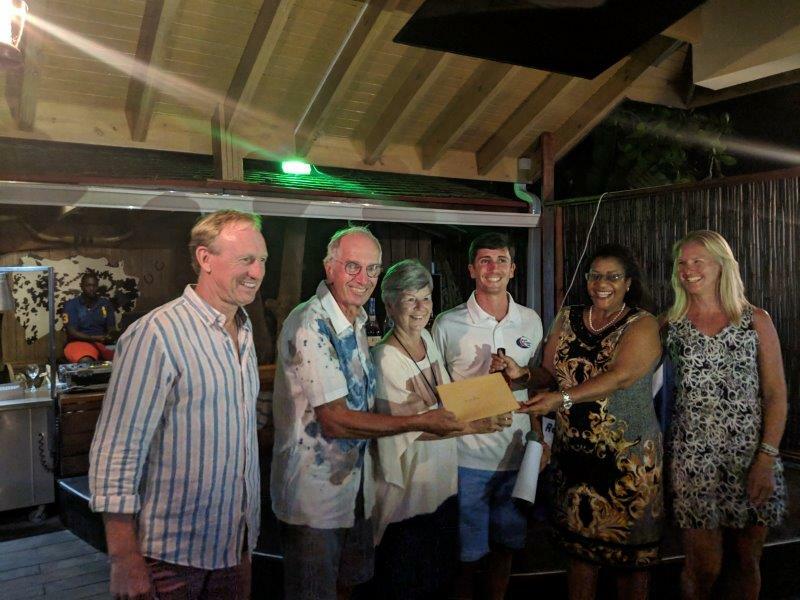 World Cruising Club News articles from World Cruising Club: The World ARC 2018-19 fleet continues to enjoy Grenada! 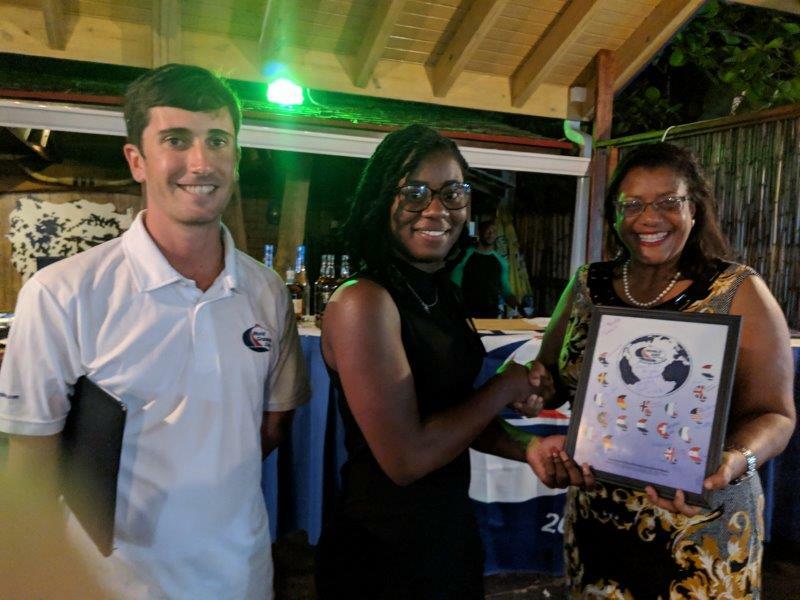 Home > News > The World ARC 2018-19 fleet continues to enjoy Grenada! 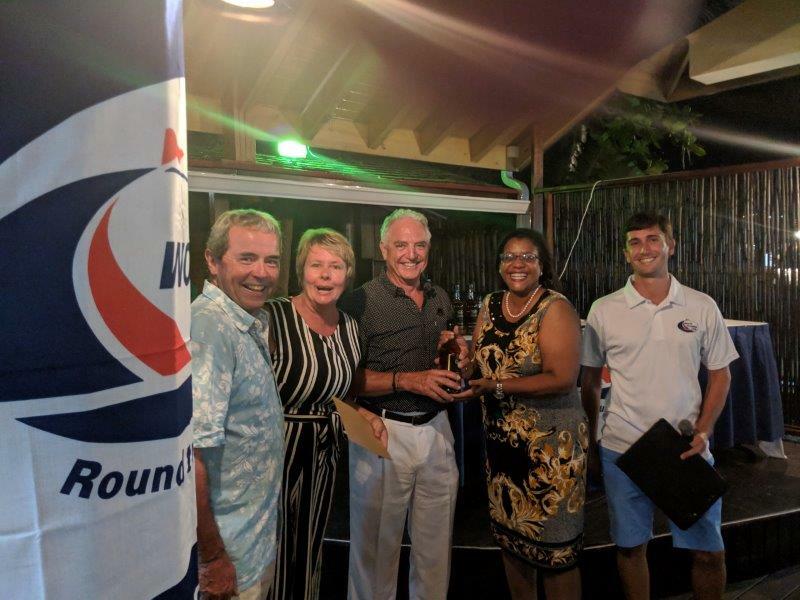 Monday was another full day with the second "Round the Island" tour and a cruising briefing provided by LTD Sailing at the Victory Restaurant and Bar at the Port Louis Marina. The evening ended with a BBQ, giving the fleet a chance to chat amongst themselves craft their Caribbean cruising plans. Tuesday the fantastic Grenada experiences continued on with a tour of the local rum distillery. 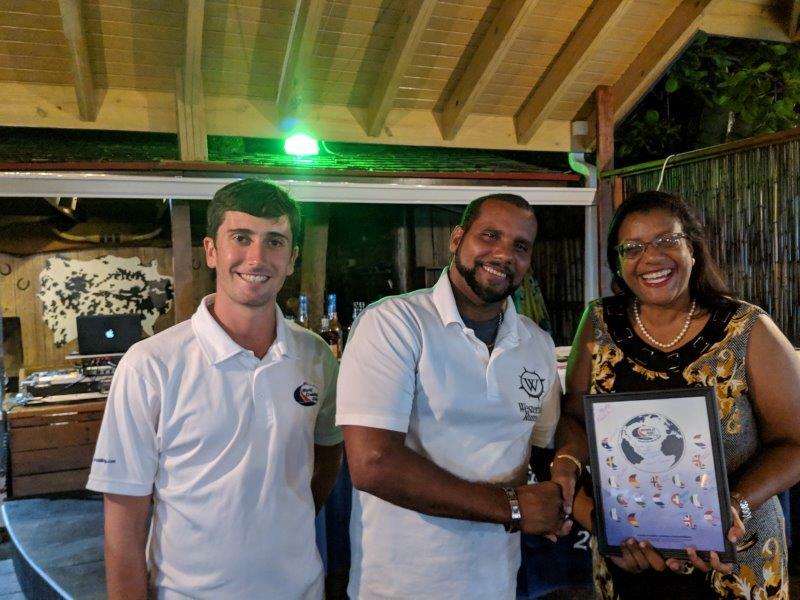 Special thanks to Damon Du Bois, Sales and Marketing Manager for Westerhall Rum for sponsoring a fun tour and also for the generous donation for leg 17 prize giving later that evening! 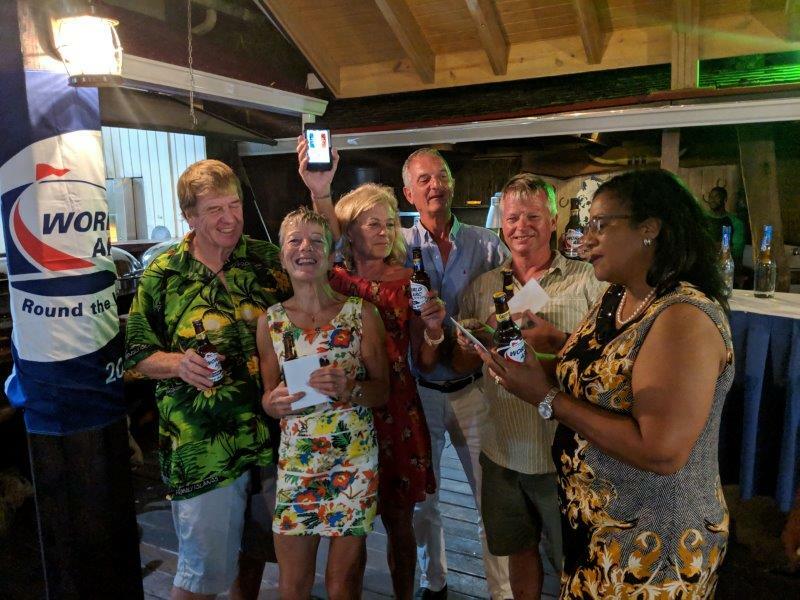 The final event of the official Grenada programme was held at the Victory Bar & Restaurant. It was a beautiful time to reflect on the final leg and it certainly brought some reasons to celebrate! Emily Morgan won the ETA award and prizes for the fun competition went to Mischief, Pretaixte and Timshel. Ros and Howard on Misto won the Multihull Division while Peter, Anisa and Rob on Callisto won first place in Division C.
Mark, Brita, Laurie and Ruud on Blue Pearl won first Place in Division B and in Division A there was certainly an interesting development as Influencer clearly won the leg on corrected time however skipper Matt Hayes indicated he wanted to honour the brave efforts of the double handed boat that finished just behind them. 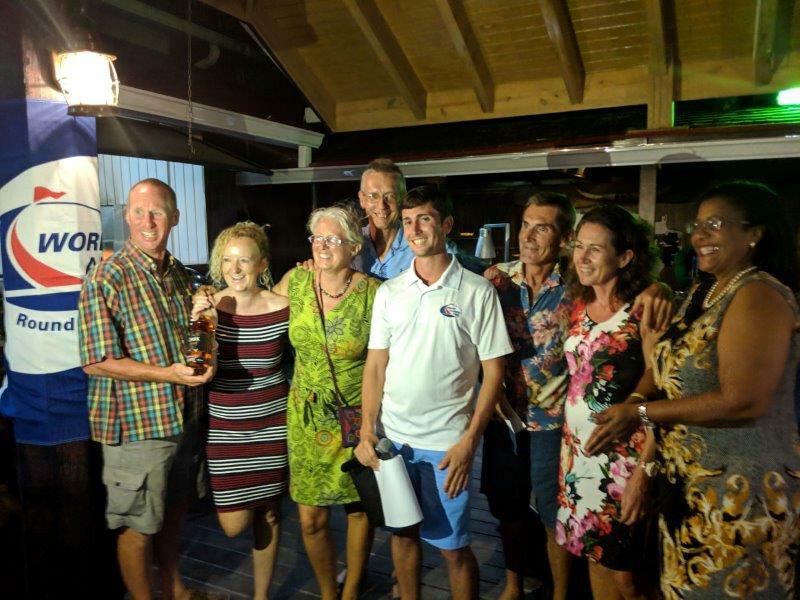 On behalf of the crew from Influencer and Rally Control we awarded a delicious bottle of ten year old rum to and the first place prize to Dave and Wendy on Mischief. 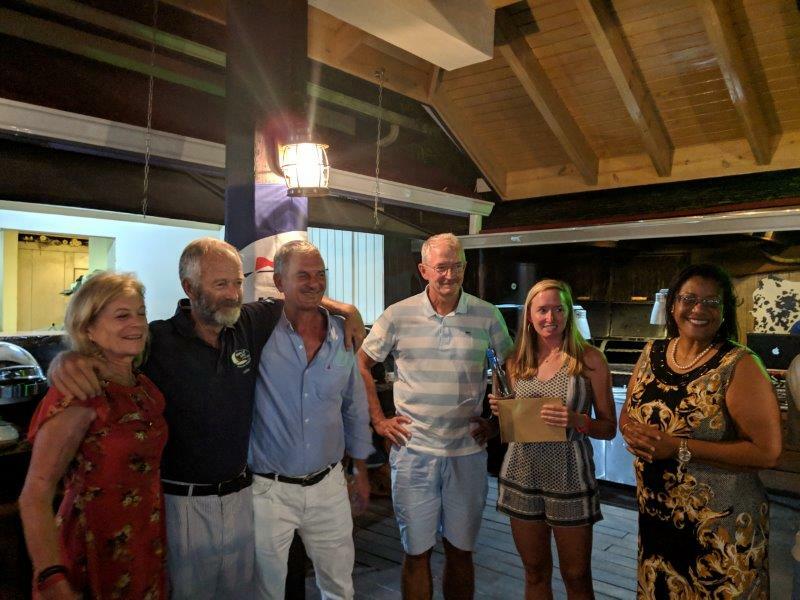 Finally,a seamanship award was presented to Cayuse, Pretaixte and Lydia along with a few words of appreciation from the skipper of Aranui. 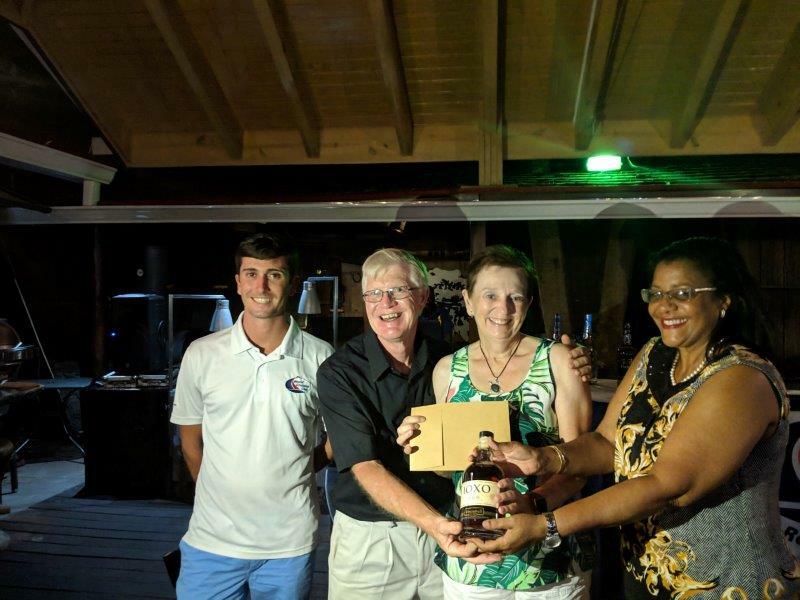 Sponsors who deserve special recognition include: Grenada Tourism Authority, Marine and Yachting Association of Grenada, Grenada Yacht Club ,Digicel, Island Water World, Grenada Bottling Company and the entire team at Port Louis Marina, especially Glen Thomas and Charlotte Bronin for the incredible hospitality.